3: Give target creature +2/+2 until end of turn. Each time you use this ability, you must discard one card at random from your hand. 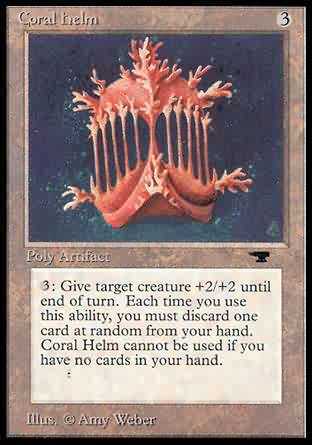 Coral Helm cannot be used if you have no cards in your hand.